Home » Local Events » Make Memories with Dad this Father’s Day! Lawn Chair Theatre is fun for the whole family and a great way to spend the evening together! There are activities for the kids to participate in before the family-friendly film starts at 8:30. Bring your own lawn chair, blankets, and pillows for your own comfort, and grab some popcorn from the concession stands before enjoying the movie under the stars! Free admission. Give Dad the Gift of a Healthy Vehicle By Coming to the Davenport Autopark Service Department! If Dad is the outdoorsy type, why not spend the day at Rocky Mount Battle Park? Here, you, Dad, and the whole family can hike or bike through the beautiful trails. Don’t forget to check out the Civil War monument! Take a break and enjoy lunch in the picnic area. There is also a boat launch so you can enjoy the Tar River and do some fishing! Help Dad Keep His Cargo Safe and Dry By Learning About Types of Truck Box Covers! The Wilson Country Club is hosting a Father’s Day Buffet with many breakfast and lunch options, including pastries, fruit, salad, grits, biscuits, bacon fried corn, fried chicken, Cajun broiled flounder, and more! An ice cream bar with toppings and an assorted dessert display will also be available. The cost is $25 for adults, $13 per child (6 to 12 years old), and children 5 years and under are free. Please call 252-291-3815 to make your reservations. Find Out How Far Dad Can Go in the 2016 Buick Cascada! From all of us here at Davenport Autopark, we want to wish you and your family a safe and happy Father’s Day! 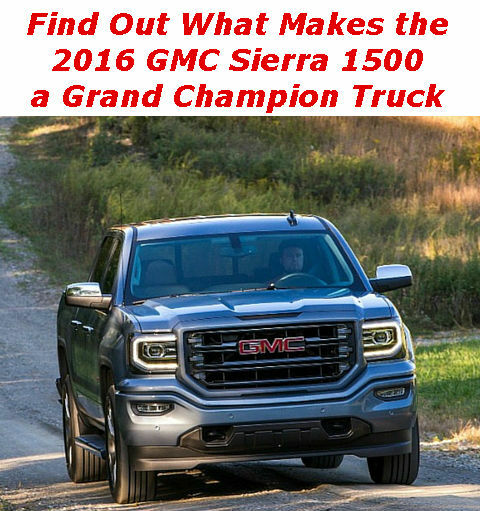 If you need a new GMC or Buick vehicle to help you and Dad get to any of these events, feel free to contact us and schedule a test drive! This entry was posted on Wednesday, June 15th, 2016 at 1:43 pm	and is filed under Local Events. You can follow any responses to this entry through the RSS 2.0 feed. You can leave a response, or trackback from your own site.